The blistering growth of technology has trended upwards at speeds that the human mind cannot comprehend. The mind was calibrated to think linearly so as to be able to plot the course of the advancing predator and to take appropriate action to preserve one’s self. Those that were capable of making this calculation were able to spread that adaptation to future generations. However, the increase of technology occurs on an exponential line of growth, which is difficult to comprehend based on our evolution. When predictions about technology are made, they often miss the mark due to this genetic inability to comprehend exponential slopes. This compounds the already difficult jobs of social scientists in predicting the developmental, economic, and political changes technology will create. In addition, the technology policies that are created by NGOs, governments and multi-nationals often have long rang affects because the pace of policy making is unable to keep ahead of the rapid pace of technological advancements. Thus, creating policies that are flexible, forward looking, and include multiple interest parties are crucial to being able to harness technology for growth. In Africa, the legacy of colonialism, Import-Substituting Industrialization, and conflict has left the continent at a level of development that does not compare well to other regions of the world that were of the same level of development in the mid 20th century. While numerous plans of action, white papers, and development conferences have been held over the past 50 years to address the lack of growth, this paper sets out to examine a sector that is attempting to harness that exponential growth slope to bring development and spur growth to the continent. The sector of Information Communication Technology (ICT) ranges from telephony, to mobile phone telephony, to undersea cables of internet bandwidth. With such a broad array of topics, mapping out a continental plan of action would be difficult due to geographic, political, and factor-endowment differences. Thus focusing on individual countries, or regional blocs would be a more appropriate focus of a policy document. With so many suggestions flowing in from multiple sources, how does a coherent and flexible policy get made? With the future of connectivity being a critical part of Africa’s drive for growth, certain policies should be stressed over others to ensure that the technological slope does not by pass the continent of Africa. Understanding the history of ICT development is crucial to understanding the facets of the debate and policy currently. Seeing growth and development increasingly tied to communications and technology means that ICT policy will be a critical area of interest and study in the coming years on the African continent. In fact, with economic regional integration high on the agenda, coordinating ICT policy regionally will be a facet of that process that will need to be addressed first before other sectors can begin to see benefits of that integration. ICT on the continent of Africa appears to be reaching a crescendo, recently with the massive investment in infrastructure, the rising demand, the arrival of high speed bandwidth cables to the shores of African countries. The Eastern Africa Submarine Cable System (EASSy) made landfall last year, connecting eastern Africa with the rest of the world through an undersea fibre optic cable. This will lessen the reliance on satellite communications for data and voice services. The Main One will reach South Africa from Portugal this year meaning higher speeds for data access for customers along the entire west coast of Africa. With a dire need of local content, these cables will allow web developers to create more media content in local languages and more relevant regional media (AllAfrica). ICT could play a major part in the banking, insurance, health, education, and agriculture sectors. It would allow for sustainable growth and continued regional and international integration. ICT development reduces the cost of communication because it “increases market information, formalizes capital, increases productivity, and facilitates capital accumulation” (Kimenyi and Moyo). The biggest advance in ICT, especially in Africa has been mobile phone technology. As the fastest growing mobile phone market, new industry is emerging through these mobile machines. Mobile banking has had the largest impact with the M-pesa, in Kenya, becoming a model for other countries to build upon to create their own mobile banking systems. With only 1 in 5 households in Sub-Saharan Africa having access to formal financial services this service could find a very sizable market. Further fields of mobile technology include health (m-health), learning and agriculture. With e-learning there are synergies with m-health. Students in the all fields, not just medical, could benefit from online textbooks and being able to communicate with professors. Jobs prospects of students are enhanced by the ability to market their computer literacy and navigate the web to search for opportunities. (African Governments and E-Society). In terms of agriculture, the current hype is around the monitoring of prices at market, however the reality is that the African farmer has to sell his product when it is ripe. The real benefit in agriculture would be the access to best practices and information in general that could benefit the farmer over the long term(Kimenyi and Moyo). 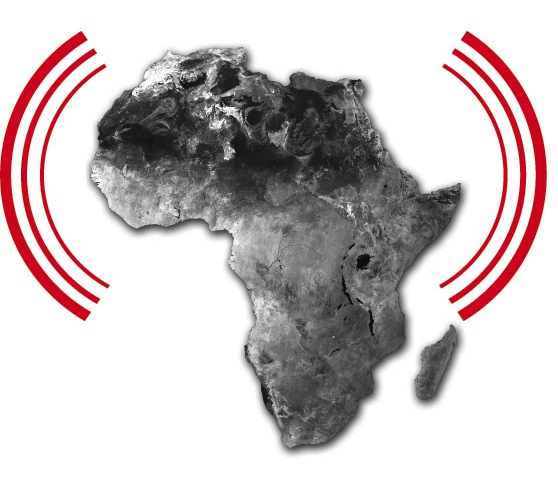 Before plotting the future of connectivity on the continent, a review of the development of telecommunications is necessary to avoid the pitfalls of the past and to understand the unique challenges and opportunities presented on the continent. As stated before, placing research in regional blocs will allow for greater integration in formulating policy. The overriding feature of this review will be the reform movement that swept Africa in the last 1980s and 1990s. It was during this time that the national telephone operators were privatized and while the results of this reform movement are still far from solidified, a review of how Africa got to its current position is necessary to understand future challenges. The purpose of reform was to ameliorate the subpar performance of institutional structures due to changing social, political, and economic circumstances. The national telecom monopolies could not meet the requirements of the new era of ICT. Changes such as advances in technology and the new critical role that ICT played in economic growth and development were two such changes that a state monopoly could not take advantage of. Broadly, the different categories that reform addressed were the resolution of industry boundary conflicts, making the national monopolies into commercially efficient entities, and building a national telecom network. Melody’s second reform category shows how for most countries outside of North America, liberalization of the telecom industry has seen a government-owned utility become the private sector monopoly, which was then set to compete against foreign firms. Melody says that in these countries this was the Post, Telegraph, and Telephone (PTT) utility and had no concern with efficiency or customer service, instead it had served as a slush fund for the government treasury, or position of sinecure for politically connected persons. Melody says that besides Nordic countries, the PTT had served this function for most states around the world. Thus converting this politically beneficial and bureaucratic firm into a commercial telecom operator was a daunting task because of the powerful interests that reform negatively impacted. Melody explains that the debate that arose in most countries as liberalization took place was how much time to give the PTT to prepare for competition on the market. In the background of this debate was the desire for universal access that spurred many of these countries to bring about reform. This goal was what caused a fear that PTO would be crushed by foreign firms, thus destroying the local jobs and revenue it created, as well as removing government from exerting any policies on the local company while at the same time seeing all the revenues repatriated abroad. Finally, Melody says that the third reform category was the challenge of building a national network that loomed at the end of reform. While the inefficiencies of the PTT were well known in developing countries, policy makers had to devise strategy that would incentivize the market to complete policy goals: essentially more access to the citizenry. This balance of structuring a free market system that would achieve government policy goals was a very delicate task for developing governments. With governments depending on ICT revenue, the desire to not reform the telecom sector was often greater than the reform camp. Due to this reliance, developing countries moved slower than the economic North, and continued to concentrate on national roll out over reform. But as Melody astutely surmises, the debate over whether privatization would actually help achieve universal access was still ongoing during this period (Melody 5-6). Melody notes the key elements of reform which make up the majority of telecom reform movements in the world. The first step is institutional restructuring. The effectiveness of ICT markets depend on solid legal foundations that are regulated by a competent and independent system. To this end, Melody claims there are three sets of actions that are fundamental to institutional reform. These include a policy development that is directed at long term societal goals accompanied by a expert policy unit to provide guidance to law makers. The second piece of the set is the need to separate the PTO from the government and politicians so that there is no political interference. Finally, regulators need to be independent of the PTO in addition to the government so that there can be no political influence or pressure exerted on the regulatory body. This will enable the body to act as a buffer separating the telecom and the government. The second step, which is in prescribed in order to attract investment into the telecom, is making the telecom accountable on financial terms and free of day-to-day involvement of the government. This is critical in the developing world, where the telecom industry needs a large infusion of capital in order to meet the government’s policy goals. Melody stresses that privatization is not universally a beneficial thing, as governments can hold on to too much of the profit from the sale of the PTT, can sell the utility off at a low price, allowing domestic or foreign buyers to reap the gains, or it can privatize before a proper regulatory structure is in place, and the PTT is wiped out by foreign firms (Melody 7). Finally, what Melody calls the most important step, is the “unbundling of the major market segments that link to the network facilities infrastructure” (8). By this he means the backwards link to the equipment makers and the forward links to the service providers. If the three sectors are separated from one another, private equipment and service providers can begin to compete during the privatization process of the PTT. Melody credits this process with bringing the computing companies into telecom as well as allowing for mobile, internet, and other services to develop in a competitive market. In Africa, after the end of colonization many companies were nationalized as part of the development plans of many post-independence governments. As most of these companies were colonial era monopolies, the state gained a large source of revenues from these monopolies. However, through the lack of innovation, corruption, and dearth of competitors, these national companies failed to provide new services and they eventually became strains on the national budget as revenues were routed elsewhere or put into simply maintaining the nationwide system. This financial and political crisis that the continent found itself in by the late 1970s led to the restructuring of national economies (McCormick 536). During the structural adjustment eras, privatization of national companies were popular and communication monopolies were not held onto by the government. Instead they became in essence private monopolies. In many cases they were simply sold to elites who were tied to the government in power. As competitors came in the market, the advantages of the incumbent often proved too strong due to vertical integration of services. Cross-subsidization was used by the incumbent monopoly to exert power in new services. Cross subsidizing involves users of greater amount of services to paying a high portion of the combined bill when joined with users of lesser amount of services. For example, by using their massive revenues in telephony they could charge below-market prices for broadband usage, thus not allowing a new private Internet Service Provider to compete. At the start of the 1980s, national telecom companies in the developing world were not providing effective services as seen by the number of telephones per person. In Africa, there were only 0.8 per 100 people, in Latin America only 5.5, both of these numbers in stark comparison to 83.7 in the United States (Wallsten 3). With the wait time for network connection exceedingly long, competitors began to attempt to bypass the network. This continued to add pressure to the government to reform. In Africa the reform movement encompassed three components: the privatization of the state owned monopoly service provider, the introduction of competition, and the creation of an independent regulatory agency. While privatization could bring the improvements needed to advance the sector, Wallsten makes it clear that without proper regulation this was unlikely to occur. Wallsten sought to use econometric studies that can control for factors that affect performance while measuring the effects of telecom reform (4). The data he used compared sets of information in 30 countries from Africa and Latin American during the time space from 1984 to 1997. His data is drawn from the International Telecommunications Union (ITU), which is a specialized agency of the United Nations that is responsible for information and communication technologies. The variable that is most commonly reported to the ITU is main line penetration, or main lines per capita (teledensity). The ITU defines a main line as a “telephone line connecting the subscriber’s terminal equipment to the public network and which has a dedicated port in the telephone exchange equipment” (Wallsten 8). Thus it allows us to see the level of penetration of phone lines into a country. There are many other factors to review to understand the effects of reform (connection capacity, number of pay phones, employees per main line, and price indicators), however Wallsten’s findings on the number of mainlines show important results. The results show that competition is beneficial, but more competition is better. Specifically, his data shows that as the number of mobile competitors in telecom increase, there is a possible effect on mainline penetration. A second important finding is the decrease in performance that comes around the time of the passage of reform legislation. Wallsten explains this to be part of the trigger that causes reform, and the decrease post-passage can be explained as the transition period for policy makers to understand how new technology can fit their needs and how to execute on new policies and plans (13). This is an important fact to note for researchers as this can give an indication of a trigger of reform, as well as the need to persevere with new policy to let its prescriptions have time to disseminate into the bureaucracy and the economy. Wallsten’s findings are generally consistent with the logical wisdom of reform and the market. His results back up his claim that privatization alone does not increase main line penetration, quite the opposite, but accompanied by an independent regulator the correlation turns to an increase in connection capacity and pay phone diffusion. Instead, privatization is not the key factor, it is competition that causes the most positive correlation of data. Wallsten says this data should be interpreted by reformers to the exclusive periods where the incumbent has time in the market alone without competition. Wallsten says that while this could improve the value of the firm, it can cause negative effects on the service to consumers. With Africa contributing 12% of the world’s population, but only 2% of the world’s telephones as of 2005, a paradox exists with the fact that international calls and the laying of fixed telephone lines have some of the highest costs in the world despite Africa consisting of 34 of the world’s least developed countries. PK McCormick believes that these costs, nearly 300% higher than in developed countries, combined with inefficient management and maintenance accounts for the demise of fixed line telephony in Africa. Much like other services on the continent, most resources have been directed at urban centers, and thus new technology lags behind in terms of adoption in the rural areas. This has continued with mobile telecom, as services providers claim it is not economical to extend the network to cover all rural populations. Even though the service of mobile telephony is cheaper than fixed lines, setting up the equipment and the cost of calls are generally higher than fixed lines, meaning that for the time being services may still be economically unfeasible to extend to the entire population of a country. This is confirmed in statistics that the ITU provide showing that half of the average African per capita income is spent on mobile services. Text messages continue to be invested in as a popular service. An evaluation of how data services, especially as 3G coverage spreads, impact daily lives and business will need to be performed. The African Telecommunications Union (ATU) set out the past decade by placing a focus on bringing telecommunications systems to the rural areas as the developmental effects and regional economies of scale are continually more intertwined with telecommunications. The ATU is an organ of the African Union that promotes access and the use of information communications technologies. It also recognizes the need for strong independent regulators. It assists policy formulation, which is much needed because of the weakness of regulatory actors in African countries. This body will be crucial to help continent wide standards become adopted as well as promoting solutions to achieving universal access. This weakness of regulators in Africa is not entirely compensated for by the ATU as Alison Gillwald finds in her writings. In terms of the telecommunications reform process of the last three decades, the global mechanisms of privatization, competition, and independent regulation were used to bring about decreases in prices, quality of service improving, and a roll out of faster infrastructure and new technology, giving consumers more choice. However, not all of these outcomes occurred in Africa. In Africa, international reform focused on privatization, often at the expense of other drivers of reform. Gillwald observed that the model that emerged for reforming ICT in developing countries consisted of three components. This is very much in line with Melody’s and Wallsten’s components. For Gillwald these included the partial privatization of the incumbent fixed line operator through the extension of the monopoly. Second, the introduction of the network competition in the mobile segment of the market and service based competition seen in the form of the value-added network services (VANS) and Internet Service Provider (ISP) market. Thirdly, the establishment of a sector regulator to implement policy. This included the creation of a transparent and regulated environment for investors and consumers, which contributed to building a stable and well-functioning market. While emphasis was placed on opening the African market to international firms to invest, the same focus was not placed on the institutional arrangements to effectively regulate private monopolies in only a partially competitive market. Gillwald says this is the most undermining factor of reform efforts in developing countries (4). Regulation that was implemented effectively in developed countries became the cornerstone for competitive markets, however in Africa regulation was not accompanied by the introduction of a sufficient degree of competition policies. Gillwald says that privatization without the regulatory capacity of political will to manage a private monopoly can be entirely counterproductive to the achievement of the very goals intended by liberalization. To highlight the challenge, Gillwald gives an example of the way an incumbent creates a vertical monopoly. According to Gillwald this period of adjustment from PTO to private company came about because of the assumption that “indebted monopolies needed the injection of capital and skills and technology transfer to meet the challenges of expanding and modernizing” the network and introducing cost efficiencies to prepare for competition (Gillwald 5). The opportunity to make profits off the now-private company in order to off-set the loss of revenue as a state-owned corporation overshadowed the objectives of access and development of ICT. The incumbent was thus able to purchase rights in more than just fixed line telephony; the newly privatized PTO bought licenses for mobile, value-added network service, and internet service providers. Often, the new competitors entering the market then had to purchase from the incumbent’s facilities in order to access these markets. Gillwald says that this vertically integrated incumbent has become the market structure most likely to emerge after the opening of markets. With the incumbent enjoying monopoly status on upstream activities during the transition period, it was able to out-compete downstream against the new entrants. This is where a regulator would adjust the integrated entity’s actions. The problem grows if the new players are forced to purchase upstream facilities from the incumbent. This creates the ability for the incumbent to enact anti-competitive policies that effectively cripple the new entries. The regulatory response to vertical integration was through access regulation, “this can include retail tariff regulation, (through a Price Cap Model or rate of return regime) to ensure affordable access to the service by end-users” (Gillwald 6). This can be difficult to enforce because of their complexity and are hampered by the lack of access to the public utility’s accounts and the lack of definition in their separation. Even if this were to occur, Gillwald says that the regulator will still be at a disadvantage because the incumbent operator will know their own costs to a fuller extent than the regulator. This approach is difficult enough in developed and advanced bureaucracies, thus putting this burden on newly created regulators without the same resources at their disposal while fighting against the political establishment would be a set up for failure in Gillwald’s eyes: a failure of not only regulation, but of the system as a whole (6). McCormick gives the Southern African Development Community as a model for a regional regulatory organizations. SADC created the Telecommunications Regulators Association of Southern Africa (TRASA) in 1998 to help create a bridge between national regulators in order to create legislation and policies that would benefit each member state. TRASA has two focuses. One focus is the establishment of a independent regulatory authority, the second is the restructuring of the incumbent national operator in regards to its power in tariff structuring and the creation of laws and regulations. These goals are often seen in TRASA’s counterparts in West and East Africa. However, all three organizations lack a critical tool: enforcement. However, future economic growth often hinges on the regional integration of African economies, thus these telecom authorities need to gain a mandate for enforcing recommendations to member states. Without these barriers removed, integration will not be achieved to the level necessary to sustain growth. With many organizations (i.e. NEPAD, Africa Connection) setting out continental goals such as increasing teledensity or achieving ‘e-readiness’ there is little articulation about how these goals are to be achieved. ICT plays a critical part in development of a regional economy because of the need for national regulators to be in sync on policy and standards. As along as that integration lags, the growth rates to escape poverty may continue to be under-realized. While the importance of integration may be obvious the benefits are wide ranging. A Notre Europe report outlines the benefits for regional integration in Africa. The report lists achieving significant industrialization, intercontinental trade, and participation in global linkages, but also as a way to build African unity, and consolidate regional political linkages that were formed by liberation movements but now must be formed between new parties that may have no links to the liberation parties (Soko 2). Gillwald uses South Africa as an example to show that the primary mechanism for developing countries in telecom reform, which as noted before has been extension of the monopoly PTO company to the private sector, has not created the affordable access and development and expansion of the market that was hoped for. Since privatization of state-owned Telkom in 1997 (which still has the South African Government as a significant minority stakeholder) South Africa has seen a decline in the number of fixed line subscribers, one of the few countries in the world with a continuing decline, according to Gillwald’s research with Kane (2003). Additionally, 2 million subscribers were cut off from services because they could not afford the costs, and the company itself saw a 160% increase in tariffs during the initial years of privatization (Gillwald 5). Telkom was formed in 1991 as a government owned utility that took over communication services from the Department of Post and Telecommunication of South Africa. When the privatization process started in 1997, the South African government granted a 5 year period of fixed line exclusivity to the new holding company. This led to the effects that have been cited as the by-products of no or little competition: high prices , poor customer service, and anti-competitive practices using cross-subsidization. Even with these effects evident, it was two years after exclusivity ended that the South African government granted a second fixed line license to compete with Telkom. Most importantly, it granted a further license for VANS, which included the transmission of voice calls over internet protocol (VoIP) which the Telecommunications Act 103 of 1996 had previously deemed illegal (Dube 2007). The effects that Neotel, the second fixed line operator, have on the market are still difficult to ascertain because of the head start Telkom had to build and expand their network. For the majority of its services, Neotel only offers them in the three large urban centers of South Africa: Johannesburg, Cape Town, and Durban. Continued research will need to be directed at fixed line and VANS in South Africa to ascertain if two competitors are enough to bring cheaper prices and more advanced technologies to consumers. However if Wallsten’s findings hold for a more developed country like South Africa, the Republic will likely need a third or fourth fixed line of VANS competitor for these results to be realized. The challenges facing ICT in Africa continue to be many of the same addressed above. However, regulatory framework is not the only obstacle as language, literacy, the digital divide and the lack of infrastructure will need to be addressed as part of reform (Soltane & Bounemra). Gillwald provides us with a more nuanced explanation of the regulatory challenges faced in Africa. She says that reducing risk to investors, who must reinvest to expand the network, which post-dot com bust, this incentive is hard to create. This stimulation may be the greatest challenge on the continent. Independent regulation is required to create transparency, but it might not be enough for sector growth, even though it is a critical component. Innovative regulations need to be implemented in order to meet the unique conditions of the African market. They need to be strategically and appropriately orientated for this market. Gillwald says price regulation is a good example of the uniqueness of the African market. If access objectives are to be achieved, regulating the dominant incumbent in cost based services is critical to address. The difference between developed and developing country regulation is that in a developed country the focus is on the user and keeping tariffs as low as possible. However, in developing country the focus is on access. To achieve this national objective of universal access, “compelling those that already have services to pay a cost based charge that includes getting services out to those who do not” will be needed (Gillwald 6). Those who currently receive service are usually elites, and very influential politically and economically. Gillwald says they are often beneficiaries of cross-subsidized services. The current users of services have a resistance to cost based price increases which can then reduce the expansion of infrastructure due to a lack of attractive investment opportunities because of a low likelihood of profitable rate of return, or a lack of return on investment. Gillwald says that this solution would allow demand to be met in communication services by the normal market mechanisms. By doing so state subsidies would not longer be demanded and would allow for subsidies to be targeted to increase access at concentrated targets (8). This is not the complete solution however as ensuring that the primary function of the independent regulator is the monitoring and adjusting of anti-competitive behavior by the incumbent towards the new competitors. To make sure that there can be an increase in competitors to meet Walston’s findings that more competition the better, increased access regulation is necessary. However this will remain a challenge as most developing countries are unable to meet this monitoring and enforcement despite low numbers of competitors (Gillwald 8). Going forward, developing plans to help increase the power and efficiency of the regulators may be even more critical than reform of the actual telecommunication sector. This paper has served as an introduction to the information technology and telecommunications sector in Africa by outlining the path that nations have undertaken in order to achieve universal access for their citizens. In post-liberation that goal was pursued through a government held public telephone operator. However, due to many factors these public utilities were extremely inefficient and ultimately failed at achieving their government mandates. With structural adjustment programs of the 1980s, many of these public communication utilities were put on the path towards privatization. In the mid 1990s, many African countries did in fact complete the privatization process, but failed to pair it with a regulatory structure that was powerful enough to supersede the power of the incumbent monopoly. With the rise of mobile phones we are starting to see the effects of privatization along with the rise of competition. However, the goals of universal access and proper regulation are still some way off due to under-resourced bureaucracies. The review of the reform literature showed that there are three primary components that needed to be included for successful reform: the establishment of a regulatory body, the privatization of the public monopoly and and the fostering of competition. These components are critical to creating a successful ICT industry, which in turn is a great driver of national and regional economic growth. With ICT being a facilitator of other sectors’ growth because of the need for communication in every business, establishing proper ICT policy will be critical for African countries seeking greater regional integration. For as long as users are given limited options and barriers to communication, economic growth will be stifled. Now with a foundation of the path through reform and deregulation, further study can be performed on the best ways forward for ICT in Africa. “African Governments and E-Society: The Challenges of Actively Promoting Privatization, Deregulation, E-Health, E-Learning, and Universal Inclusion and Joining the Information Revolution”. USC Marshal Policy Paper, 2005. Dube, PK. “Critical Evaluation of the Management of Pricing Polices in Telkom SA Ltd”. Research Report: University of South Africa, 2007. Gillwald, Alison. “Transforming Telecom Reform for Development”. Harvard Forum, 2003. Kimenyi, Mwangi S. And Nelipher Moyo. “Leapfrogging Development through Techonology Adoption”. Brookings. Foresight Africa: The Continent’s Greatest Challenges and Opportunities for 2011. January 2011.
International Telecommunications Union. “Defitions of World Telecommunication/ICT Indicators”. March 2010. McCormick, Patricia K. “The African telecommunications union: A Pan-African approach to telecommunications reform”. Telecommunications Policy. 29, 2005, pgs 529-548. Melody, William H. “Telecom Reform: Progress and Prospects”. Telecommunications Policy. 23, 1999, pgs 7-34. Soko, Mills. “The Political Economy of Regional Integration in Southern Africa”. Norte Europe. Studies & Research 63. 2005. Soltane, Ben & Karima Bounemra. “Globalization and the Information Age: Role of theAfricanInformationSocietyInitiative.” African Development Forum on Globalization and the Challenges of Information Age to Africa, UNECA, Addis Ababa, October 1999. Wallsten, Scott J. “An Economic Analysis of Telecom Competition, Privatization, and Regulation in Africa and Latin America”. The Journal of Industrial Economies. Volume XLIX, March 2001, No. 1. Ya’u, Y.Z. “The New Imperialism and Africa in the Global Electronic Village”. Review of African Political Economy. Vol 31, No 99. March 2004.